2016 has been quite the ride, to say the least. To bring you some festive cheer, we're taking 25% off some of our 2016 highlights for UK customers until the end of December. To get the discount, follow the links below to the website of our UK distributor (NOT our website!) and enter the code HAYM25 at the checkout. In the future, we hope to be able to offer our UK customers the same deals as we do for those in the US. However, due to high shipping costs, this is not currently possible. So we've teamed up with our UK distributor, Turnaround, to offer 25% off these ten titles with free postage to UK addresses. If you are in the UK, this is the cheapest way for you to order your titles online. 2016 has been dominated by the right, far right, and quasi-fascist. What forces does the left have to resist this ascendancy? Europe in Revolt is a unique, far-ranging and essential critical survey of the many left-wing movements that have emerged across the continent since the 2008 crash. Assessing the potentials and limitations of these radical formations and covering 12 countries, this is the best account available of the new European left and the challenges it faces. The definitive account of one of the most important movements today. Black Lives Matter has seen the return to American politics of mass struggle against racial oppression – and, as 2016 saw thousands march in the UK in solidarity, its relevance clearly goes beyond the borders of the United States. Taylor masterfully untangles the intersections of race and class, ultimately tracing today's racialised police violence to a system of exploitative, profit-seeking production. A powerful read that might change the way you think about race and racism. With nationalism a resurgent force, one of the world's foremost Marxist thinkers provides a much needed analysis of its roots and insidious appeal. Arguing that nationalist ideologies must be understood in relation to the capitalist state itself, Davidson's piercing essays cover topics such as class struggle and subordination, geopolitics, "left nationalism", and the far right as both functional and threatening to capital. Widely considered one of the most important heterodox and Marxist economists writing today, Michael Roberts predicted the 2008 crash – and thinks there will be another in 2017-2018. The Long Depression explains why, marshalling a vast range of data to argue that the roots of our economic woes are to be found in the falling profitability of productive sectors – an inherent, crisis-inducing tendency of capitalist production for which socialism is the only cure. Along with Fidel Castro, Che Guevara is the individual who most shaped post-revolutionary Cuba. This unique book provides a way to critically engage with Guevara's economic views, his ideas about revolutionary agency, and his conduct as guerrilla commander and government administrator in Cuba. A must-read for today's activists—or anyone longing to fight for a better world. We all know that a socialist society would be egalitarian, free of oppression, and rid of exploitation. But...would it be boring? Not if Danny Katch has anything to do with it. This is not only an excellent introduction to revolutionary socialism. It's also funny. And yet serious at the same time. 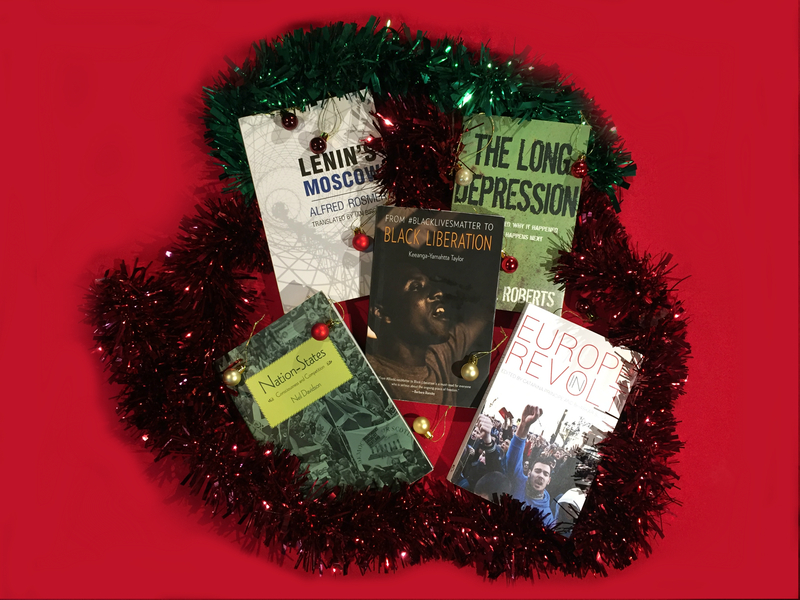 Ridiculing the absurdities of the capitalist system and promising a creative, liberatory and fun socialism, this is the perfect gift for the politically curious. A groundbreaking study of class struggle in world's fastest growing major economy. China on Strike, the first English-language book of its kind, provides an intimate and revealing window into the lives of workers organising in some of China's most profitable factories, which supply Apple, Nike, Hewlett Packard and other multinational companies. Drawing on dozens of interviews with Chinese workers, this sheds much needed light on some of the world's most under-reported labour struggles. Like thousands of others drawn to the promise and potential of the first workers' revolution, Alfred Rosmer found himself in Russia during the early years of Soviet rule. In this gripping political memoir of those days, Rosmer draws on his unique perspective to shatter the myths about the alleged totalitarianism of the Bolshevik party before the rise of Stalin. A unique eyewitness account of the early years of revolutionary Russia as a country struggling to build socialism under conditions of invasion, civil war and vast destruction. What is the reality of policing in the United States? Do the police keep anyone safe and secure other than the very wealthy? How do recent police killings of young black people in the United States fit into the historical and global context of anti-blackness? A powerful indictment of the carceral state and policing as we know it, Who Do You Serve argues for alternative ways to keep our communities safe. The people of Brazil celebrated when they learned that in the space of two years their country would host the world's two largest sporting events: the World Cup in 2014 and the Olympics in 2016. Soon, they were protesting in numbers the country hadn't seen in decades. Drawing on fieldwork from the most dangerous corners of Rio to the halls of power in Washington, DC, Zirin exposing how sports and politics have collided in spectacular fashion to produce not only the well documented corruption, but a restructuring of the state itself along neoliberal and increasingly authoritarian lines. Edited by Eli Friedman, Zhongjin Li, et al. Through first person accounts, this book details the growing unrest, destabilization and strikes in factories that are gripping China. Davidson argues that a Marxist understanding of the meaning of contemporary nation-states must begin from the inseparable connections between them. A political portrait focused on Guevara’s thought and political record aimed at dispelling many of the myths about the revolutionary. Edited by Joe Macaré, Maya Schenwar, et al. Explores the reality of US police violence against Black, Brown and Indigenous communities. Engaging, page-turning first hand account of the promise of the Russian Revolution.